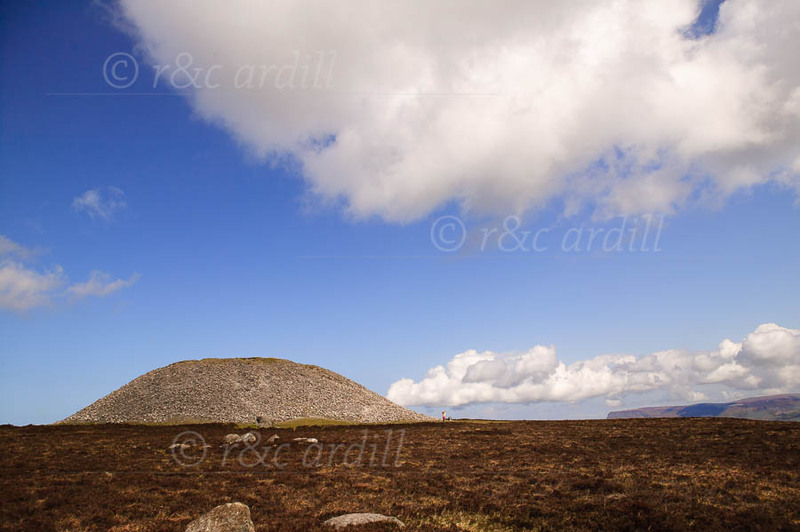 Photo of: West of Ireland: Sligo: Knocknarea: Mebh's Cairn. A view of the second largest neolithic passage tomb at the top of Knocknarea mountain near Sligo town. The tomb is called Meabh's Cairn or Maeve's tomb (Meabh is the mythical queen of Connacht). To the right of the image Ben Bulben can be seen peeking over the heather in the foreground.